emm de que trata tu discusion? gabenewcomb, LizzardWizzard, pandabub, Devay and Neogore joined. 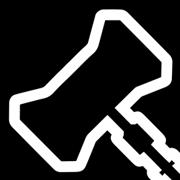 joah_from_Alberta, FateController17 and Aragorn123 joined. MTG_Sappy, andyhall23, theevilslime and Kaoskompagniet joined. hawkster59, Dr_Necrofeelya, Ralyx, TigerGecko66 and mikaeelmoti9 joined.